Instrument Cables, Mono/Stereo Cable from Armor Gold Cables. 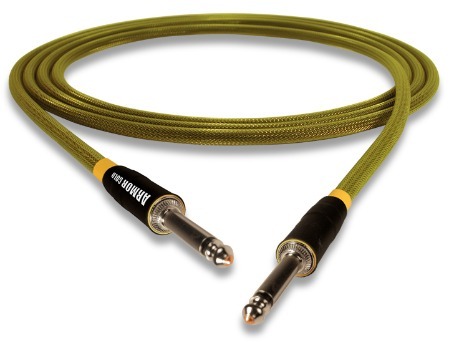 They feature the same polymer outer mesh, G & H plugs, and double layer heat shrink as their other instrument cables. This cable features G & H MegaFoot 1/4" plugs and 12-gauge wire. This thick wire is durable and lowers resistance for wider frequency range and stronger signal strength. The wire is encased in a protective PVC jacket, resulting in a cable that is close to a 1/2 inch thick. 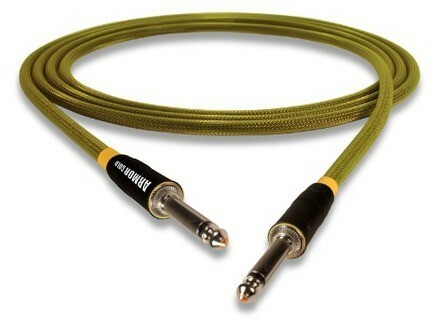 For more info go to www.armorgoldcables.com/armorgold/instrument_cable.html. [NAMM] RapcoHorizon AC-Audio Composite Cable The RapcoHorizon Company, a manufacturer of audio/video interfacing and cable equipment, introduces its new AC-Audio Composite Cable at Winter NAMM 2010. [NAMM] Rapco Presents Dominator Cables The RapcoHorizon Company will be presenting its Dominator cable line at Winter NAMM 2009.